Welcome to the Farm Metal Sign is great for the shop, the man cave or even the kitchen! 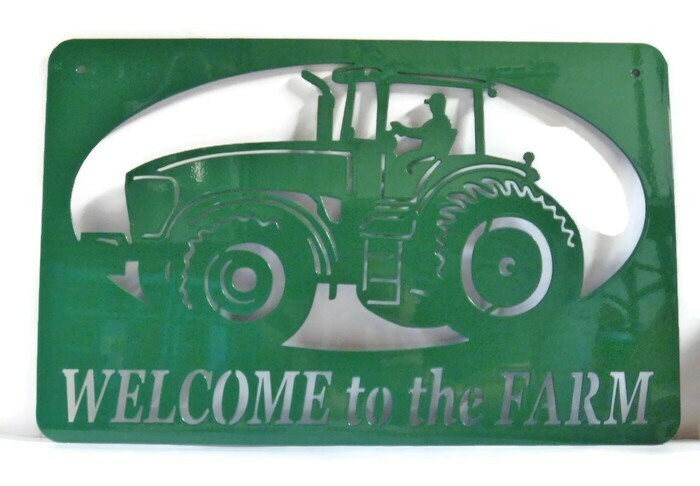 This modern tractor sign is cut from steel about as thick as a nickel. 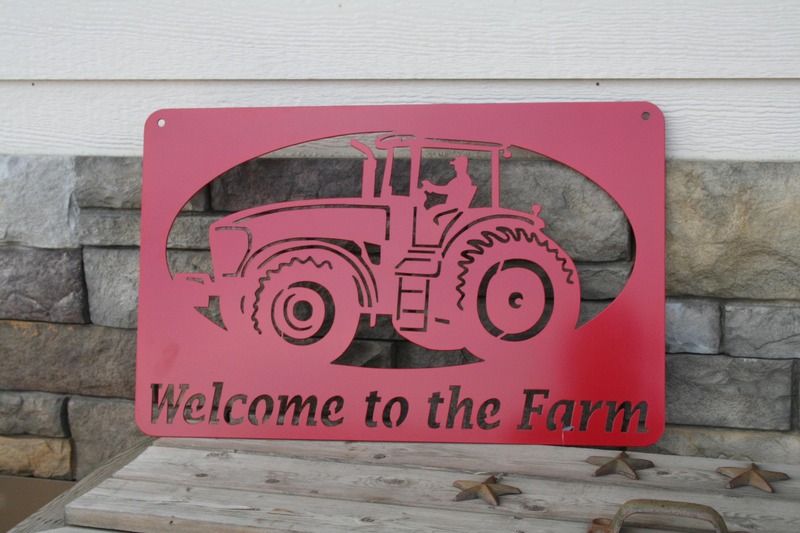 It's coated with glossy, durable powder coat in a variety of colors. 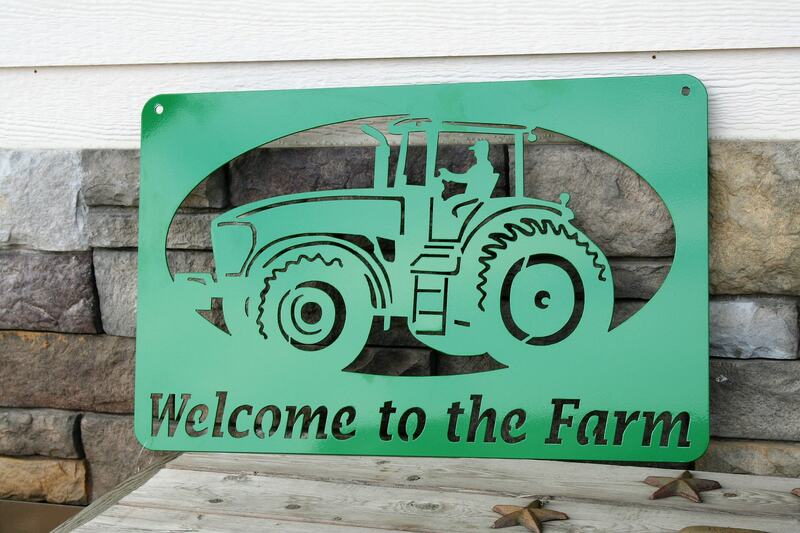 This piece will last the test of time indoors or out! 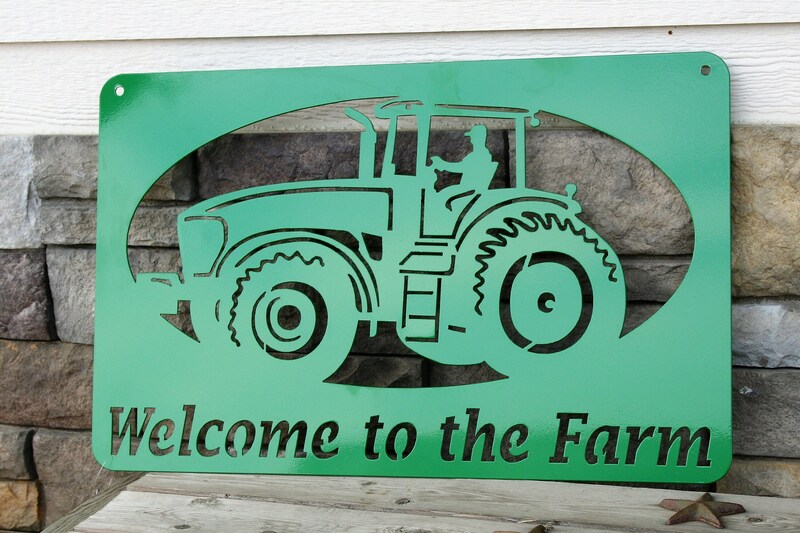 Sign is 22" wide and 13" tall. 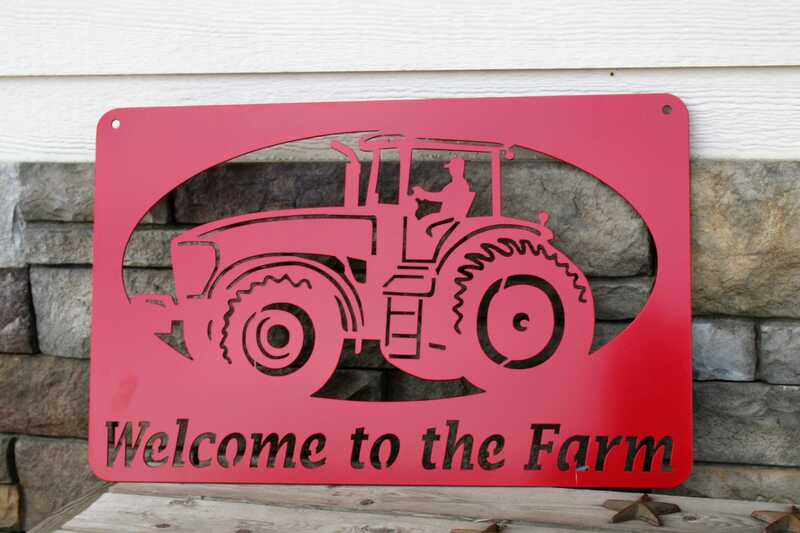 Makes a great gift for anything from housewarming to birthday to wedding day! 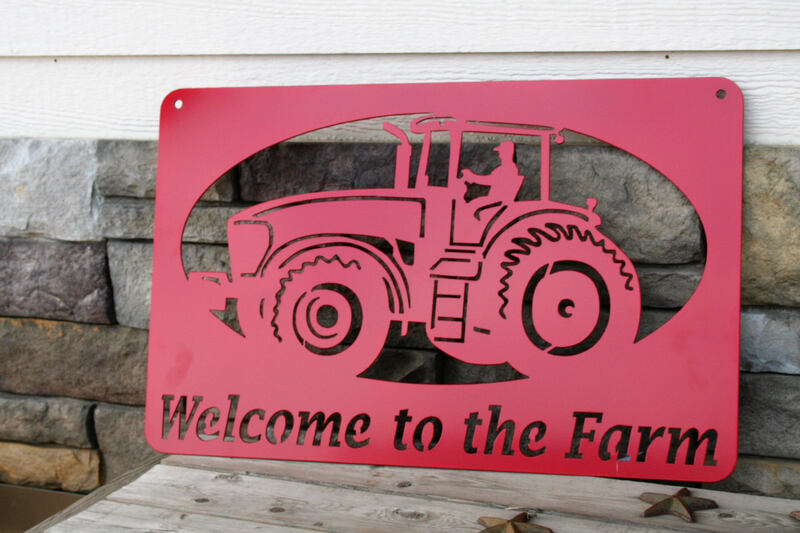 We hope you'll love our tractor signs as much as we love making them! Love it, perfect, fast shipping, Thank you! Very fast delivery, waiting on warmer-drier weather to hang up, very nice product. Got it for my boyfriend's birthday gift and he thought it looked great.! Very well done.